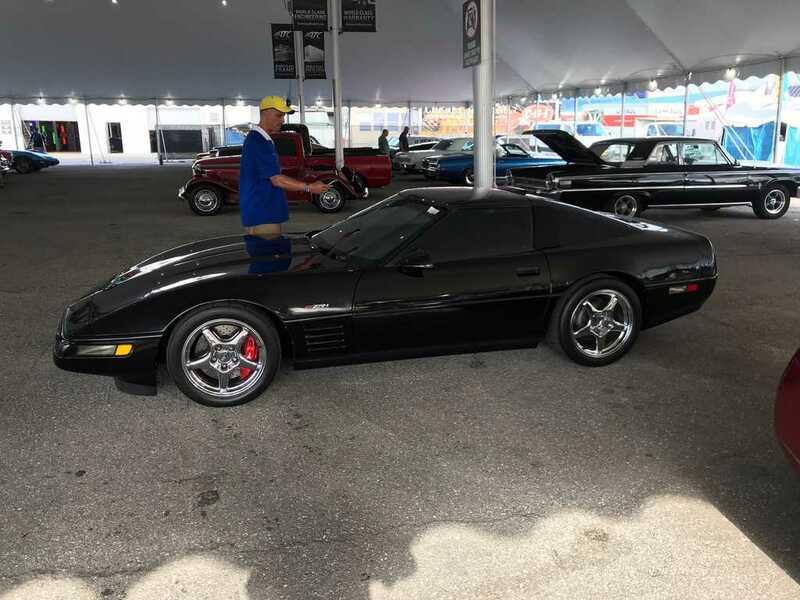 On Saturday I made my annual pilgrimage to the South Florida Fairgrounds to take in all the fun at the Barrett-Jackson car auction. This year’s successful formula was identical to last year—and the year before that. Rows of cars under tents. Hot dogs and beer. One Barrett-Jackson merchandise store after another. Wash, rinse, repeat. 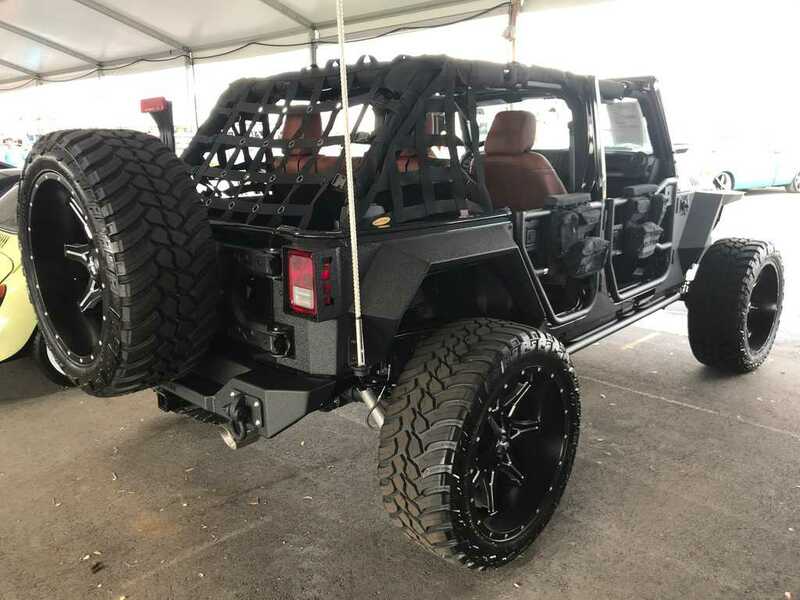 Each year there are usually certain models that seem to be more prevalent than others—this year popular auction vehicles included several highly modified Jeep Wranglers and dozens of Mercedes-Benz R230 SL’s from circa 2002-2012. While walking the dozens of rows of cars on display, I had an epiphany about the challenges facing the collector car industry. The place of the car in our society is rapidly changing. How should auction companies be addressing this? I saw very few millennials—instead of attending a collector car aution on a precious Saturday, they were somewhere in the cloud updating their Facebook, Instagram, and Twitter accounts. 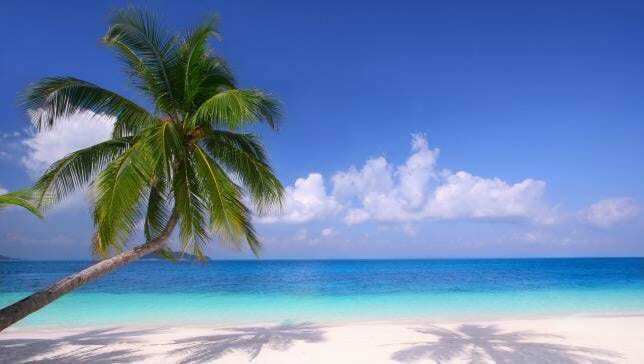 South Florida millennials were probably with their friends kite surfing on rented equipment. Many in this new generation prefer not to add hassle and complexity to their life by owning things that need maintenance, insurance, and storage. For millennials, cars are simply tools to get from one party to another. Automobiles are like a Vitamix blender—they are a necessary appliance. In the language of millenials, Uber has become a verb. My generation may represent the last of the “car guys” who consider automobiles as a cool expression of passion and individuality. With the development of ride haling, electrification, and autonomous vehicles, I’m less sure that an obsession with cars is even remotely on the priority list of the next generation. The morning at Barrett-Jackson got me thinking: Where will the middle-market collector car market be in ten years? Barrett-Jackson is in the forefront of attracting new generations to the hobby, with their widespread promotion of restomods and customs (cars that look vintage but perform like a new car), and their focus on late-model supers cars like Ferrari 599 GTBs. There’s no question that certain segments of the ’50s American car market are slowing down; nearly everyone who ever wanted a 1958 Bel Air convertible has got one by now. Like the tremor before the earthquake, much of this speculation will only become clear in the rear-view mirror. The auction companies and and the dealers who survive and prosper will be adjusting their offerings as they find what appeals to new generation of collectors – those that are rapidly replacing the baby-boomers. 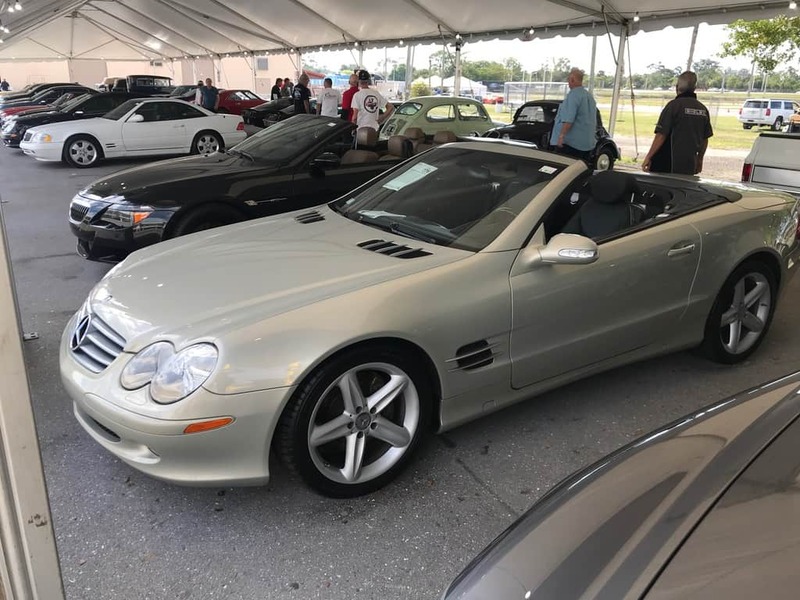 Without question there will be fewer car aficionados in this new group, but as the attendance and sales at this Palm Beach auction demonstrated – and as we see at the hundreds of cars and coffee gatherings every Saturday around the world, there are still plenty of people who love their cars. The mainstream collector car market is changing—and demographics is a major factor. We are learning what “yesterday’s collectibles” are. The question is, what are “tomorrow’s collectibles,” and who will be collecting them. This very used Corvette ZR-1 was like a shiny lure attracting a fish…. 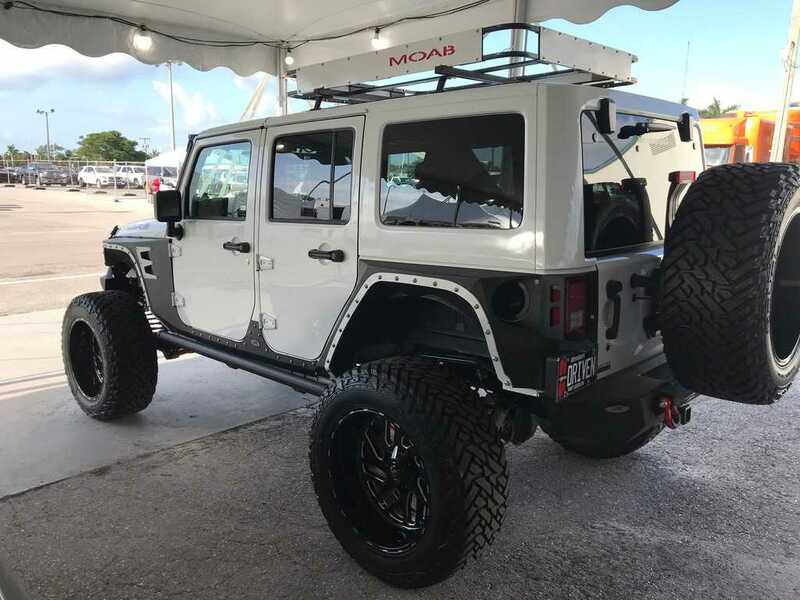 There were several lifted Jeeps for sale…. 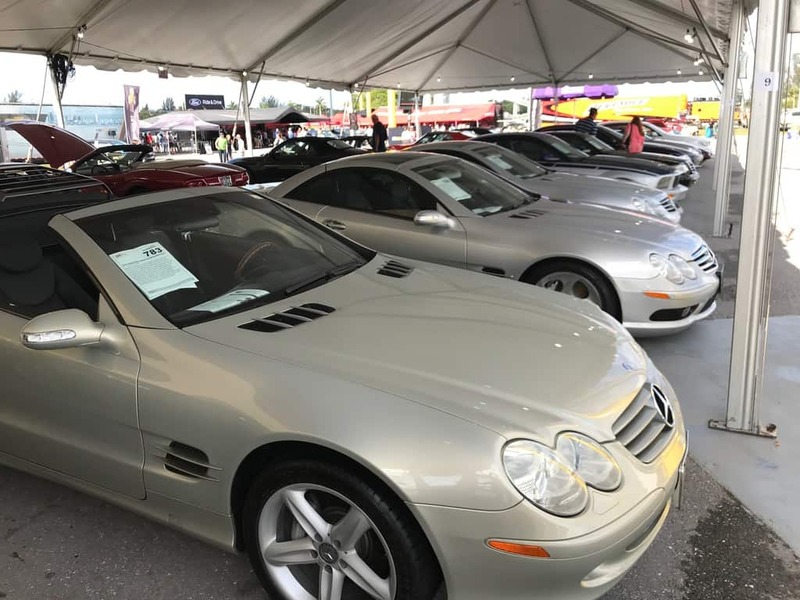 Probably the most common car at the auction this year was the 2002-2012 Mercedes SL R230 series….a sign that these once six-figure cars have bottomed in value. I saw dozens of R230’s waiting to go on the block. Most had over 50.000 miles and were in below average condition. The collector car market will change to the 80s cars as the most sought after cars. Its simple. 80s generations grew up with these cars and can now afford them. However, muscle cars will not go out of style but increase in price, we all don’t have them yet. 70s cars have not found their market but 1970s Cadillacs will soon blossom. I never understood why these almost zero-mile Cadillac Eldorado convertibles from 1976 are so cheap. They seem to me to be iconic. A lot of people saved them and there are surprisingly a lot of low-mile examples out there….. I’ve always wanted one, maybe the market will start to move here. I don’t think the Cimmeron will not catch a bid, but that is a different story…..
Good article Philip. You can guess my age by my cars: 34 Packard, 46 MGTC, 57 F code Tbird, 57 FI Corvette, 62 Jaguar Mark ll, 67 Austin Healey 3000, 94 Land Rover Defender, 95 Range Rover, 73 Rolls Royce Silver Shadow……….don’t think millennials would appreciate any.! That sounds like quite a stable! A 1934 Packard is on my dream list. I just love that year, the front fenders, it was the zenith of Packard quality and design! If money were no object, I’d love a Dietrich bodied V12! I hope to be out in San Diego in the next few months and I would love to see your garage. I recently did an article in Motorcycle Classics about the big motorcycle auctions in Las Vegas called “The times they are a changin’ “. As noted a big part of this is nostalgia. Millennials won’t be nostalgic over Tri-five Chevy’s but they might be over Jeep Wranglers. Same in motorcycles, the baby boomer’s loved the Triumph Bonneville. Now Japanese multi cylinder motorcycles are the new rising stars (sun?). It is all a rotation. Buy it because you like it. No wiser words ever spoken! Buy it because you like it! I recently came across a one-owner over-maintained 1995 S600 W140 with only 18,000 miles. Ok, this car is not on the list of most (any?) collectors but I’ve always loved the end of the line of Bruno Sacco’s design. I recall seeing one for the first time. I was at the local body shop in Mt. Kisco New York (North State Custom). The car was a victim of a deer strike and the headlight and fender was damaged. I recall thinking, “this is probably a $10,000 deer strike!” That was a long time ago. The car made an impact on me. I wondered, how much money did one need to earn per year to afford a $140,000 Mercedes coupe? Now they are fully depreciated and cheap, if you can find an investment grade example. I felt lucky that I found this car. So your mantra is so true, BUY WHAT YOU LOVE! Be the change you seek. Want a younger demographic, buy a bunch of tickets for your local Boy Scouts! I love cars because my Dad and I shared some great memories with our Jeeps and Suburbans while camping. No better way to get the younger parents to the auctions than by getting their kids to ask them to bring them (and their Cub Scout Pack, Boy Scout Troop, Venture Crew and/or Explorer Post). Start sponsoring an Automotive Maintenance Badge, now, and in ten years these same kids will be successful young men – ready to spend. Philip–excellent overview. I have been attending Barrett-Jackson auctions selling cars for the past seventeen years with my Dad. Now that I am doing this as a full-time business, I’ve lived and died by these auctions, Barrett mostly. I’ve done tons of business with them, I’ve had the highest selling cars at some of their sales. I have noticed this aging demographic for years, and it’s not just applicable to Barrett, but rather all of the auction houses and the hobby in general. In Scottsdale in particular this year I noticed first time buyers (eager to spend their “Trump Bump” market profits) they were buying the most random cars that hit them at the right moment. I witnessed “tribute” cars, “B” & “C” level cars out pacing “A” level cars because first timers couldn’t get their hands up fast enough in the early part of the week. Fast forward to this sale at Palm Beach, I will say that the numbers were stronger than I anticipated; however, people came out in droves to get their hands on the “Staluppi Collection” that was being sold. Many people are infatuated when an entire collection becomes available as they feel the need to be a part of it, especially newer “green” collectors. This is similar to “Retail Financial Market Participants” buying on “Option expiration day” when buyers are covering their shorts and the market has a temporary spike. I myself do not see the longevity in the market for the cars that have been known as “Collector Cars” over the past 25-30 years. I see a tide that has been shifting and the cars that are becoming “collectible” are changing by the month; I feel we are in the middle-innings of the shift. I’m in my middle 30’s, I am an anomaly as I grew up around muscle cars and restored them and judged them starting at six and seven years old. When I go to people’s homes to buy a car, they think I am the shipper or inspector, they are totally taken back when they find out its me and how young I am. When I go to these auctions, I am the youngest consignor by at least 15 years. I feel that the major players in this industry are behind the curve in recognizing this and are trying to play catch up. If you watched closely and paid attention, you would remember that Mecum used to have a catch phrase, “Nobody Sells more muscle than Mecum,” this phrase has been dropped over the past few years as they have LaFerrari’s, 458 Speciale’s, Bugatti’s as the headline cars. Barrett has recently caught on to featuring 918’s and newer Ferrari’s. Let’s take a look at what industry has created the most “Billionaires” over the past decade…..Tech (Silicon Valley). These guys that are getting into cars are buying cars they can relate to, cars they grew up with, F40’s, Diablo’s, F50’s, LaFerrari’s, P1’s, etc. They are buying cars that (to borrow a phrase from Miles Collier), “Talk to them,” cars that have technology they can relate to. This group also “drives” their cars, yes drives them, they want to enjoy them and “experience” them, they put miles on them. This generation is about “experiences”. I can go on for days about this and all of the facets that impact this industry, but I couldn’t agree more with your assessment. Most of these auctions look like you are walking in to a movie at a country club (grey haired club). The hobby so desperately needs younger people to gain interest and to take an active role. Should be interesting over the next six months, Mecum has one of their largest auctions coming up in Indy in May. 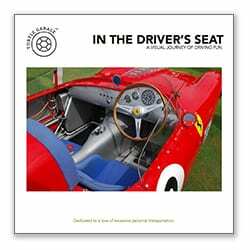 We are nearing a precipice in the collector car market as we have known it. I’ve been a casual observer of the collector car market for the last 10 years or so and I agree with you. I’m 51, and grew up loving the cars my dad and grampa loved, but also have a newfound fondness for what was ‘hot’ when I was a teen in the 80s. My 18 y.o. son on the other hand loves the high tech cars of today as well as the Gran Turismo video game cars of 10 years ago. He doesn’t have much interest in those I wax nostalgic about. So maybe the 911 SC or G body Carrera I lust after will soon be within reach? Maybe I finally be able to afford the 69 Z-28 I always wanted when the market becomes flooded with them in 10 years? Who knows but I’m excited to find out, even if my son isn’t. Thanks fo your insight! John W.